Jacqueline Carey is the New York Times best-selling author of the award-winning Kushiel's Legacy series. 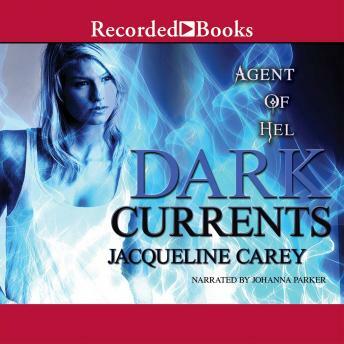 Dark Currents introduces Daisy Johanssen, a hell-spawn living in a Mid-west resort town that also boasts fairies, vampires, and a Norse goddess. As police department liaison for the paranormal, Daisy takes notice when a drowning victim shows signs of eldritch involvement. Paired with officer- and werewolf- Cody Fairfax, she must solve the case before tourist season is ruined. Gilmore Girls meets Buffy, this is a good P.I. novel that is (currently ) culturally relevant and a good fast read. The author excels at writing well developed and empathetic characters. I found the novel and the narrator enjoyable, we'll worth the credit. I like Jacqueline Carey and this book did not change my mind. Love her new female hero!